Puppy mills come in all shapes and sizes. Typical housing for up to 60+ dogs. Puppy millers create beautiful websites that make them look like loving breeders. The reality is quite different. A puppy mill is a dog breeding facility where profit is given priority over the health and well-being of the breeding dogs and puppies produced. These facilities vary in size and can have anywhere from 10 to over 1000 breeding dogs. The breeding dogs are forced to breed twice a year or at every heat cycle. The breeding dogs are kept in small wire overcrowded cages, living and breeding in filth and squalor. The breeding dogs are not groomed, they are not given opportunity to exercise nor do they know the touch of a loving hand. They are denied vet care so many are living and breeding with painful conditions such as urinary tract infections, ear infections, rotten teeth, infected eyes, tumors, infected mammary glands and sore feet from standing on wire cage floors. Puppy mill breeding dogs endure neglect, loneliness, depression, sadness, disease, misery, abuse and cruelty. Plain and simple, these dogs are considered livestock. The lucrative cash crop of puppies the breeding dogs produce are sold to pet stores, sold through classified ads, and sold directly to unwitting consumers via the internet. If you are looking to add a new family member to your home, please don’t support this industry. Please consider adoption. There are two types of puppy mills. 1. USDA-licensed and inspected. Breeders with USDA licenses are considered commercial dog breeders. These commercial breeding facilities are inspected by the USDA about once a year but many can go longer without being inspected. These facilities have a USDA (A) or (B) license to breed or resell dogs and/or puppies. USDA licensed breeders sell puppies to America’s pet stores. Many of these commercial breeders also sell through the internet. To be licensed, these breeders need only to provide the minimum care standards set by the federal Animal Welfare Act. For example, breeder dogs can be kept in a cage 6 inches bigger than it on all sides for life and there is no limit as to how many times they can be used to breed. 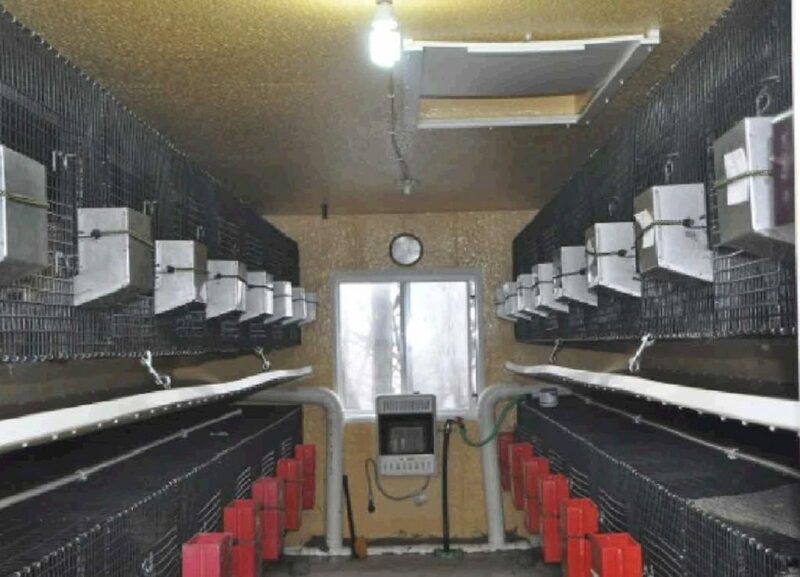 The USDA considers dogs in these facilities livestock. There are around 2,200 USDA licensed breeders in the US. Every state has commercial breeders however, there is a high concentration in Missouri, Iowa, Ohio, Oklahoma, Arkansas and Indiana. When you buy a puppy from a USDA licensed commercial breeder it’s BUYER BEWARE! 2. Non USDA-licensed or unregulated. These breeders do not hold a USDA license and depending on the state in which they are located, may or may not be subject to state laws or state inspections. These breeders primarily sell their puppies through misleading web sites, classified ads and large puppy selling clearing houses or online puppy broker websites. There are an estimated 8,000 such breeders selling online. When you buy a puppy from an unlicensed breeder it’s BUYER BEWARE!